Coach McFarland has led the Wreckers to the FCIAC Championship game in 2006, 2008, 2009,2011, 2015 and 2018. The Wreckers won the FCIAC Championship in 2008 and 2009, winning back-to-back Championships for the first time in school history, and won the Title again in 2011 to make it 3 FCIAC Championships in 4 years for the Wreckers. 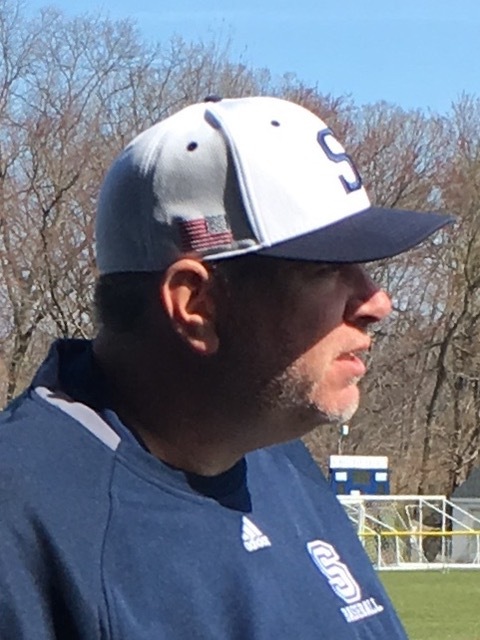 In 2009, Coach McFarland was named FCIAC Baseball Coach of the Year, and in 2011 Coach McFarland received the Coaching Award from the Westport Sportsmen. Coach McFarland has led the Wreckers to 6 FCIAC Finals and 2 State Finals in 14 seasons! The 2015 season saw the Wreckers qualify for a school record 8th straight FCIAC tourney slot and tie a school record for wins (22), Staples Baseball went all the way to the FCIAC and State Finals and claimed the Central Division title. 2017 brought a historic LL State Title for the 1st time in school history, along with #1 ranking in Final State poll! Coach McFarland won his 200th career game in the State Championship game beating Amity 5-1 in the final. The 2017 Staples team was awarded Westport Sportspersons of the Year by Fairfield County Sports Commission. The 2018 season was another successful campaign, the Wreckers finished 19-6 and were Division champs, State quarter-finalists, and also FCIAC runner up. The Wreckers finished in the final Top 10 poll for the 3rd time in 4 years! Since his arrival in 2005 the program has had numerous players earn All-League, All-Area, All Metro and All-State recognition, also a major initiative was accomplished in 2009 with the full renovation of the Staples Baseball Field which included new dugouts, new infield, underground drainage system, and an outdoor batting cage. Coach McFarland was also an assistant coach for the Staples Football program from 1995-2017; in 2004 he was named the CHSCA Assistant Coach of the Year. He is currently an Assistant Dean at Staples. Jack resides in Monroe with his wife Norma and their 4 daughters. *LL State Champions – 2017 Ranked #1 Ct New Haven Register! 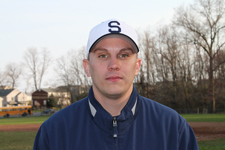 Coach Sikorski is entering his 5th season with the Wreckers as batting coach. Under his guidance the 2018 team had a .331 team batting average with an on base % of .439 and slugging % of .500. Both team records in the restricted bat era. While at Staples Brian has had numerous All League, All Area, and All State players. Prior to Staples Brian spent 30 years working at the Walt Disney Company ABC/ESPN business unit. Brian graduated from New Canaan High School where he played 3 varsity sports during his high school career. In 2010 he was inducted into their Hall of Fame. Brian attended Villanova University on a 4-year Academic/Athletic scholarship where he graduated from their business school of commerce and finance. Brian’s father Joseph was a coach and athletic director at NCHS. During his 34 years there he was one of the founding members of the FCIAC and is a member of both the FCIAC and CIAC Hall of Fames. His two sons played for Coach McFarland and were on his FCIAC Championship teams. Brian lives in Westport with his wife Mary, and two sons Joe and Jimmy. Former Amity High School captain, All-State and Senior All-Star standout PJ Washenko (Amity ’99 – UMass-Amherst ’03) enters his 6th season as pitching coach. Coach Washenko played college baseball at the University of Massachusetts and coached at Amity High School for one season. PJ has coached All Conference, All State and All Area pitchers at Staples High School.Former Staples standout Pitcher David Speer says regarding Coach Washenko”Coach Washenko helped mold me into a a pitcher capable of playing Division 1 baseball and beyond. He connected well with every pitcher on the team, and he is a coach everyone loves to play for”. He has been a guidance counselor at Staples High School for ten years, and resides in Milford with his wife Tammy and their 2 daughters. Coach Avery returns for his 12th season coaching high school baseball and his 7th at Staples High School. Coach Avery has been the first base coach/bench coach for six seasons at Staples High School. Coach Avery works as a hitting instructor, outfielder instructor and specializes in offensive tactics and defensive strategies. He was an assistant baseball coach at Saint Joseph High School for five seasons before his tenure at Staples High School. 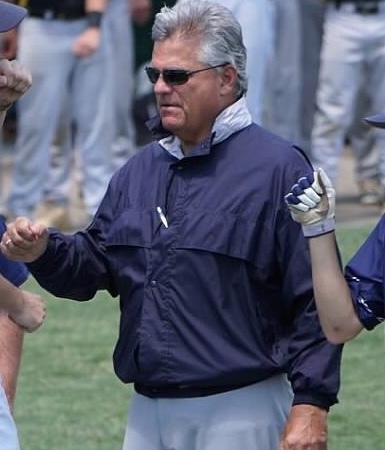 He has also coached various teams for the Trumbull Legion baseball program from 2006-2010. He was recognized as the 2007 Junior Legion Coach of the Year after winning a state championship and regional runner-up. Coach Avery also coached football at Saint Joseph High School, Staples High School and Stratford High School. His previous stint was as the Defensive Coordinator for the Stratford High School football team in 2015. He was a three-year starter in the outfield for the Quinnipiac University baseball team where he was the captain in 2003. He teaches Physical Education and Health at Stratford High School and resides in Trumbull, CT with his wife Danielle and two children. Coach Buswell enters his 1st year at Staples H.S. ,Bob has extensive experience coaching at the High School and College level.Coach Buswell has coached at Brookfield H.S.,Milford Academy , and University of Bridgeport.Bob played his high school ball at Trumbull H.S. and collegiately at Flagler College and Eastern Connecticut State University.Coach Buswell resides in Oxford with his wife Michelle and his 2 daughters Rebecca and Christina. 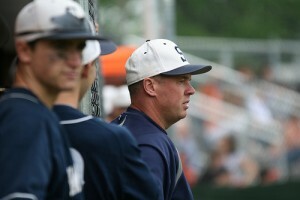 Coach Smoler is in his 14th year coaching the Staples Varsity baseball team. Coach Smoler played catcher at both Scarsdale High School in New York and at Colgate University. Since 1993 he has coached various baseball teams in Westport involving children ages 9-18 years of age. From 1995-2016, Coach Smoler ran the Advanced Baseball programs in the town of Westport which included travel baseball programs for players age 8-19 and recreational programs for children age 13 and over. Coach Smoler is a certified Math teacher at Fairfield-Warde High School. Coach Jeff Love was an All Housatonic selection at Amity Regional High School, he enrolled at St.Johns and was a member of the 1993 Big East Championship team. Coach Love was a 2nd team Big East selection and also All Northeast Region 1st Team pick. Jeff also played professionally for three years in the St.Louis and Houston organizations, and also four years in the Atlantic League. This will be Coach Loves first year with the Staples program. Jeff currently works for Riddell and resides in Southport with his wife Ronni and his 3 boys Jonathan, Ryan and Jack. Coach Caetano enters his 13th season with the Wreckers baseball staff. He has played baseball his entire life and was born an avid Yankee fan. He graduated from Amity High School and Southern Connecticut State University. He teaches Physical Education and Health at Staples.Mike resides in Orange, CT.
Paul is starting his first year as the Freshman Head Coach. Paul was a 3 sport player (Captain of two teams) at Masuk High School. He helped lead his team to the 2014 Class L Baseball State Championship final. Paul graduated from Roger Williams University where he was the captain of the Dive team and helped lead his team to two conference championships. Paul is a teacher at Staples High School. Coach Smith played his HS baseball at McMahon HS,he currently is a paraprofessional at Staples in the special ed dept,and an assistant basketball coach in the girls basketball program at Staples.